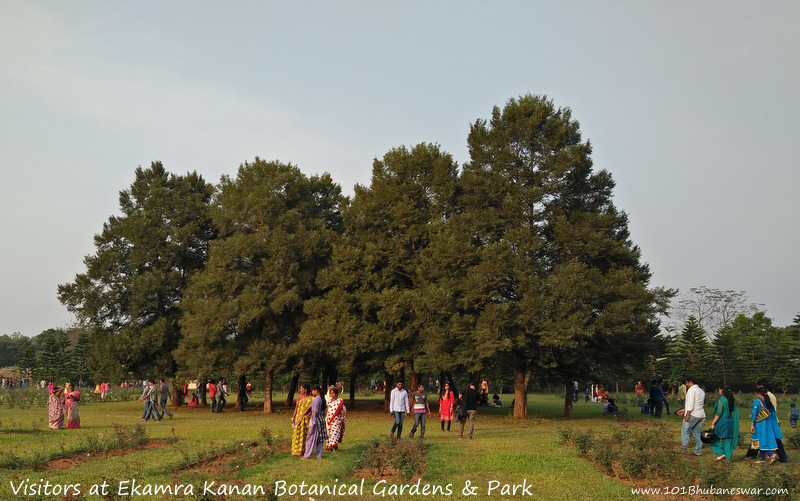 Established in 1985, spread over more than 500 acres of land, Ekamra Kanan is the biggest botanical garden and park in Bhubaneswar. 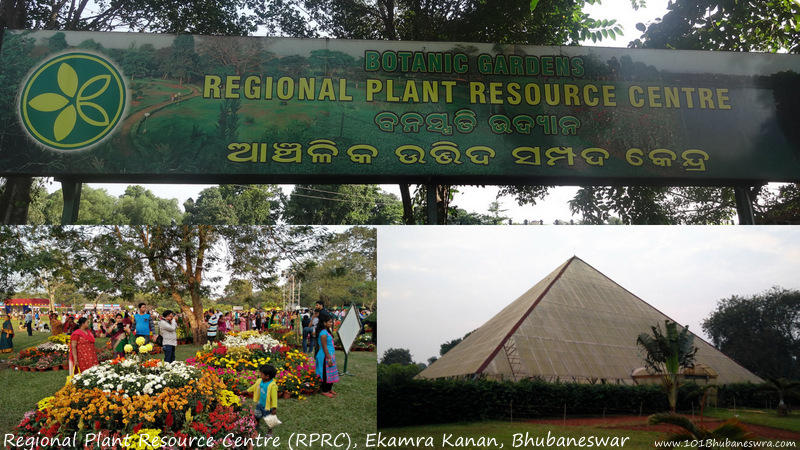 Ekamra Kanan is part of Regional Plant Resource Centre (RPRC – http://www.rprcbbsr.com/) which is a research organization of Govt. 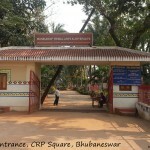 of Odisha working on the conservation of plant biodiversity. 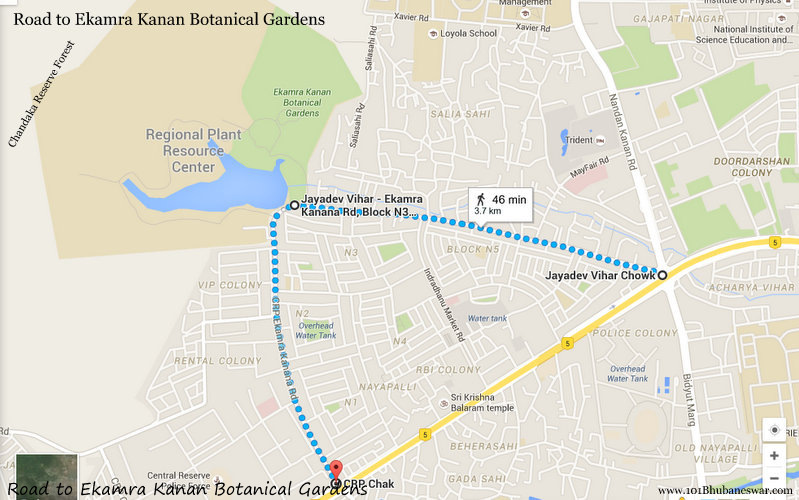 The Ekamra Kanan park is located on the Jayadev Vihar to CRP Square inner road near N3 – Jayadev Vihar, which at around 2 KM distance from NH5 on both sides. 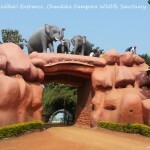 You will find it interesting to know that, along its back side wall, RPRC and Ekamra Kanan park separates Bhubaneswar city from Chandaka Reserve Forest, which home to several wild animals including large groups of forest elephants. 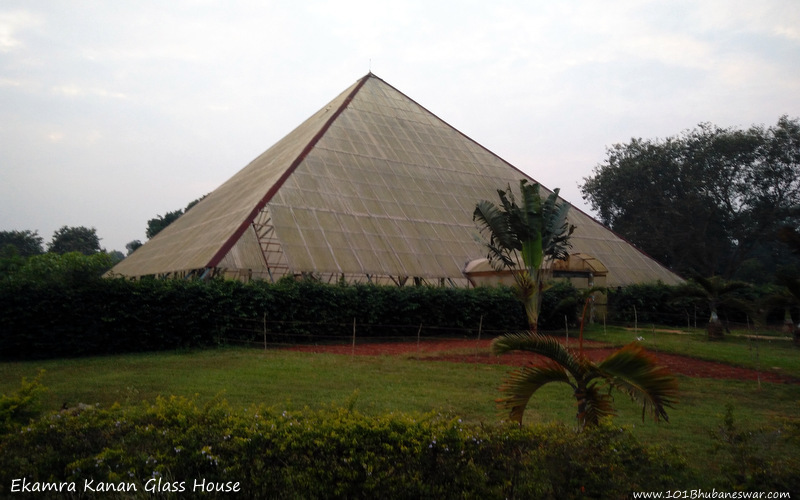 The main park of Ekamra Kanan with approx 100 acres land is developed around a huge pyramidal Glass House. The Glass House contains many types of cactus plants inside it. Ekamra Kanan has a collection of more than 1,050 varieties of cacti and succulents(fat plants) and is the largest cactus collection in Asia. That’s why it is also popularly known as the Cactus Garden. 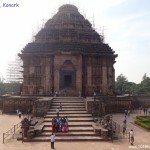 The complete park area is covered with a large green lawn and a three-kilometer long walkway. 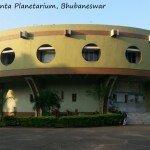 Being a botanical garden and managed by Department of Forest and Environment, Govt. 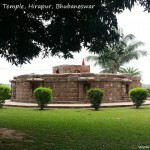 of Odisha, the park is is full of large trees everywhere. 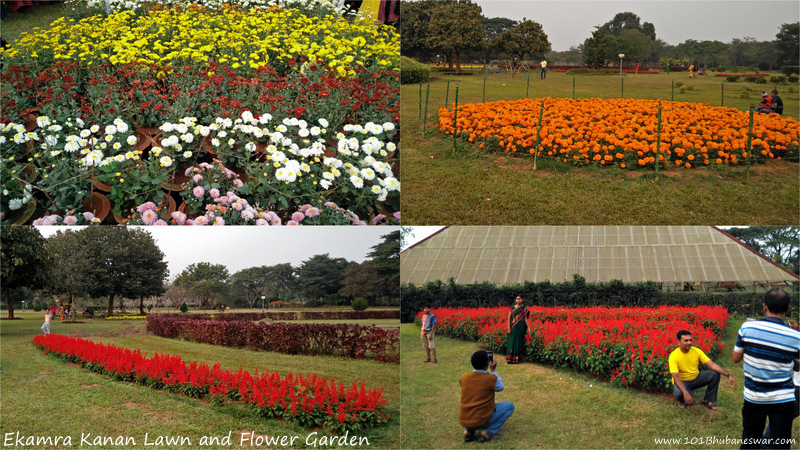 Inside the park, there are areas developed as flower gardens of different varieties. 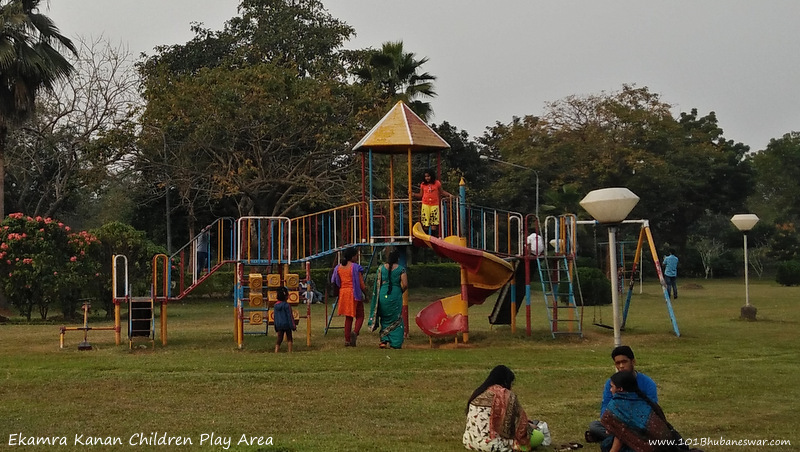 For small children, the park contains a playground and lawn at its center with several swings, slides, and climbing structures. 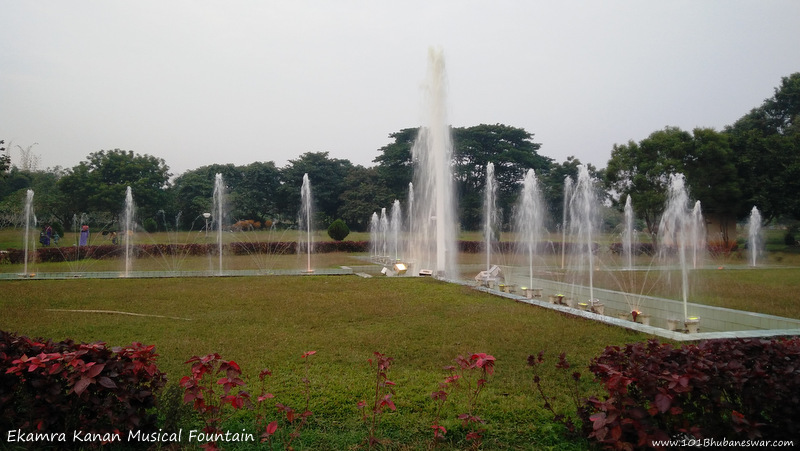 There is a small but beautiful musical fountain present on one side of the park. Ekamra Kanan also has a small lake inside it. 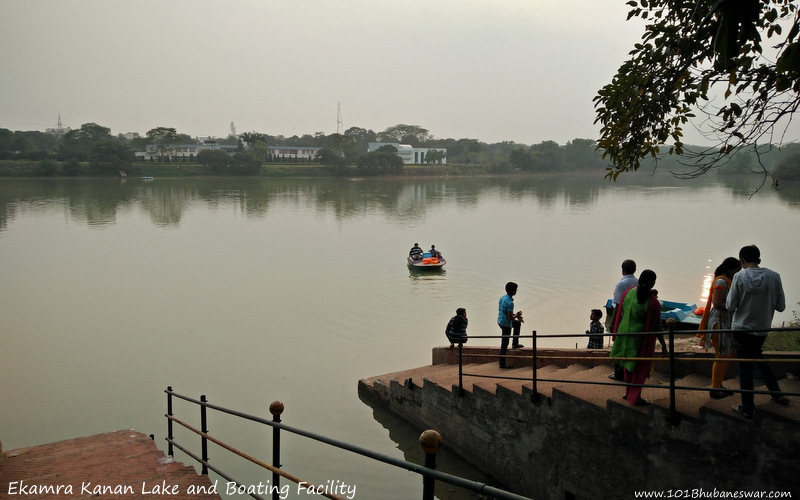 There is boating facility provided in the lake with two and four seater paddle boats, which attracts many youngsters to visit this place. 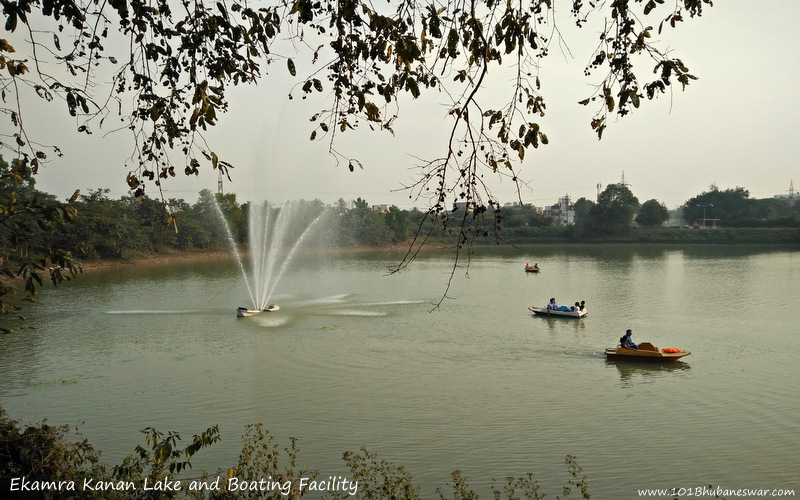 The lake and the wetland around it attract many migratory birds during winters. 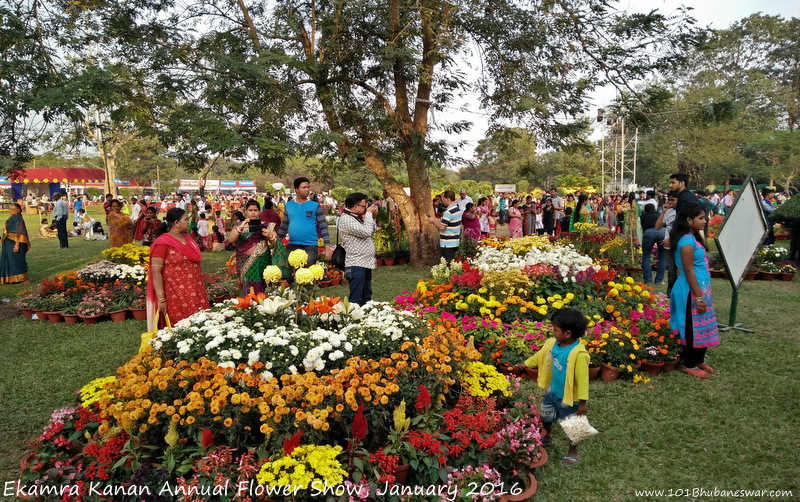 In the month of January every year, the Plant Lovers Association in collaboration with Regional Plant Resources Centre (RPRC), Odisha Tourism and Department of Horticulture, organizes a flower show in the Ekamra Kanan Park. 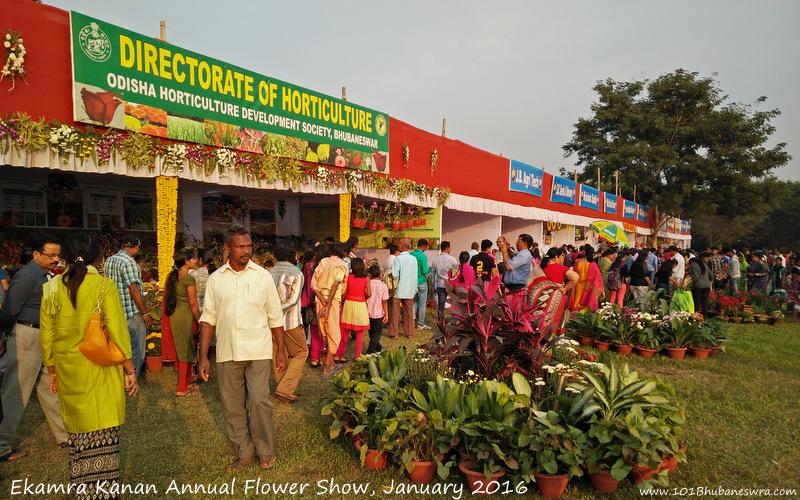 In the flower show, the organizers do a garden competition for the residents to encourage them on raising gardens. A plant bazar is also organized during the fest for the public to buy plant saplings, garden tools, fertilizer, pesticides and flowering plants. 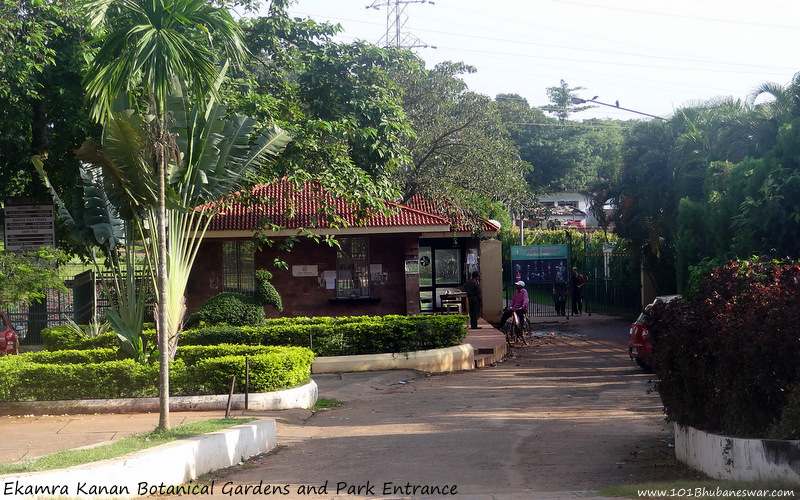 The Ekamra Kanan Botanical Garden and Park stays open for the public from 8 AM to 7 PM during summer and 8 AM to 6 PM during winter. Adults are charged Rs.10/- per head for entry fee while the children are charged Rs.5/-. Jogging is allowed to public from 5-30 AM to 7-30 AM during March-October and from 6-00 AM to 8-AM during Nov-February. The fee for use of the jogging path is Rs.5/- per person per day or a discounted amount of Rs.50/-per person a month for regular visitors. Since the park stays open throughout the day, it is usually a preferred place for couples to come here to enjoy a peaceful time with their partner. 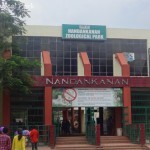 Overall Ekamra Kanan is a place which attracts people from different age groups for different reasons. Starting from early morning joggers for its nice jogging track to couples to enjoy a peaceful time during the day; from families for get-together and picnics to nature lovers to spend some time in the greenery; from people who like to do boating to children who love to play and see musical fountain in the evening – everyone who visits Ekamra Kanan, love it. 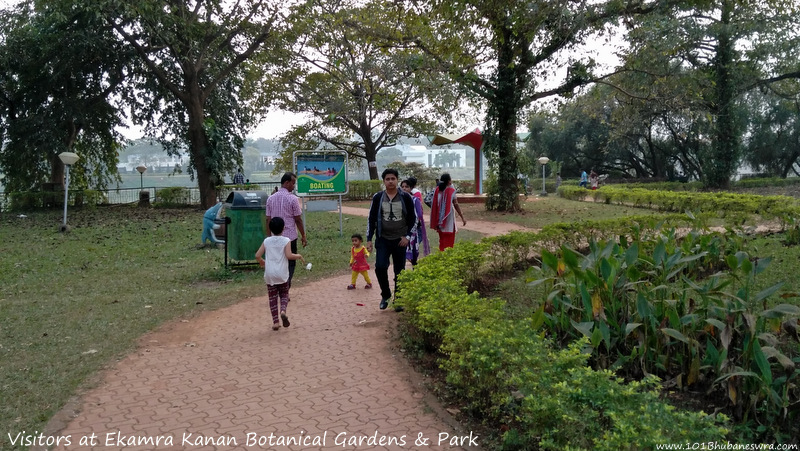 If you are in search of a walking and jogging track to maintain your fitness or you want to enjoy some quality time with your family or loved ones, Ekamra Kanan Park is the ideal destination in the city of Bhubaneswar. Give a try and let us know your feedback.